February is here so that means Valentine’ Day is coming up soon! 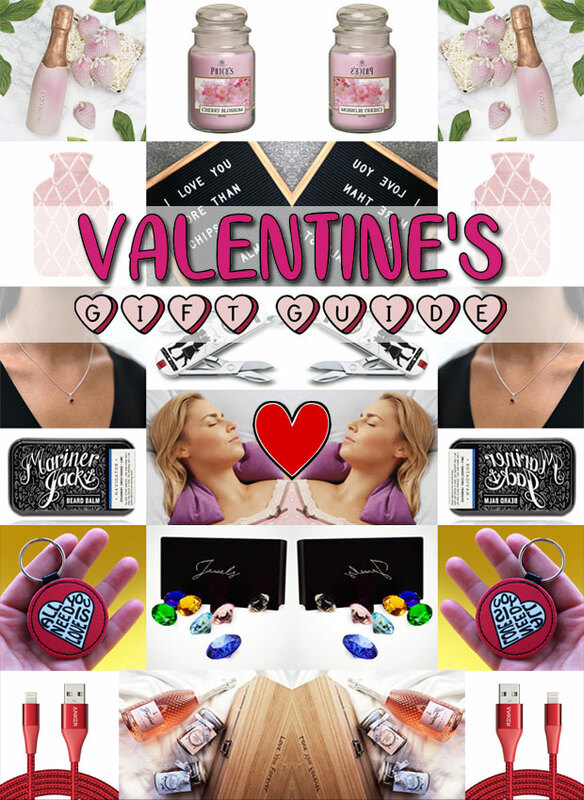 If you have a special someone who you’d like to treat to something on this day of LOVE, you might find some ideas in this post where I’ve collected a few of my favourite gift ideas for Valentine’s Day 2019. It’s a mixed post with ideas for him and for her and for people with different tastes and interests so hopefully it will help you find something suitable. Sparkling wine and strawberries is a traditional romantic snack to enjoy with your partner and here’s a play on that idea — handmade Chocolate Prosecco and Strawberries from Prezzybox (£12.99). This tasty treat comes beautifully gift packaged ready to present to a loved one. It’s perfect for any chocolate or bubbly fan! 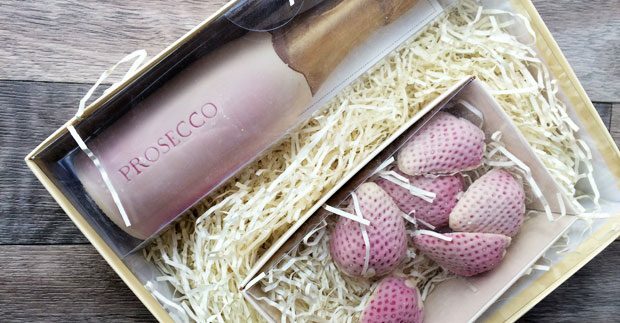 The mini bottle of Prosecco and six large strawberries are made from Belgian white and milk chocolate and edible glitter. Flowers are another traditional Valentine’s Day gift and there’s nothing wrong with a nice bouquet of your loved one’s favourite flowers but here’s an idea for a longer lasting gift — a high quality scented candle. 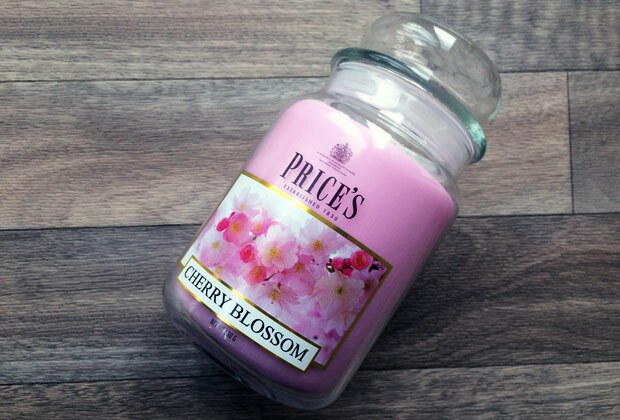 Price’s Candles are beautiful and smell amazing! There are a lots of scents and sizes to choose from but I think that the large glass jars (£18.00) with floral scents are perfect for a Valentine’s Day gift. I have the pink Cherry Blossom one but the Damson Rose one would be very well suited as an alternative to the traditional rose as a Valentine’s Day gift! Something to keep you warm and cosy is a nice gift to give to someone you love. 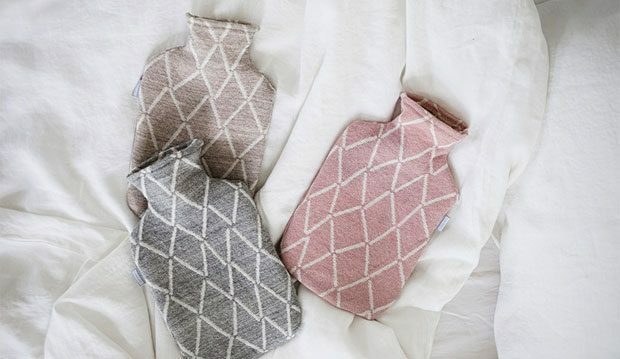 A gorgeous hot water bottle like the Eskimo Wool Hot Water Bottle from Lapuan Kankurit (£35.50) would be a lovely gift to receive! This hot water bottle was designed by Reeta Ek, Young Designer of the Year 2017, and the cover is made by 100% pure new wool. The pink shade is perfect for Valentine’s Day but it’s also available in other colours. Lapuan Kankurit is a Finnish jacquard linen and wool weaving mill, where weaving skills, production technology and material know-how have been refined into excellence within the same family since 1917. They use sustainable, pure and natural materials and responsible and environmentally-friendly processes when making their products. 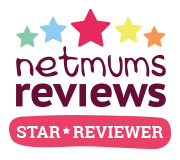 Their range includes beautiful items for the home, including beautiful blankets and throws, bed linen, cushion covers, kitchen, dining and bath textiles as well as scarves and bathrobes. A romantic card is a Valentine’s Day classic but how about something that keeps giving? Buy your Valentine a felt letterboard with oak frame from CoolGift.com (€19.95) and write them a romantic message for Valentine’s Day then keep changing it every now and then with new love notes and sweet words to make your loved one smile. 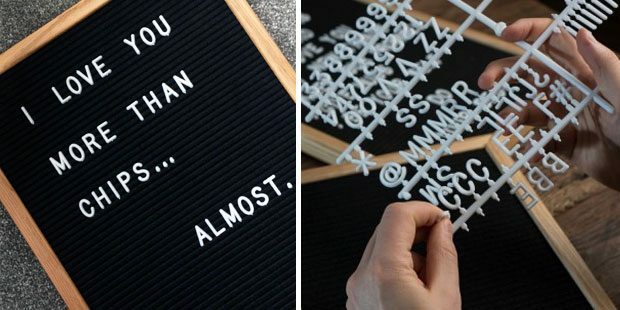 This is a high quality, retro looking board that come with 286 white letters, numbers and symbols so that you can endlessly rearrange the characters to make new messages. 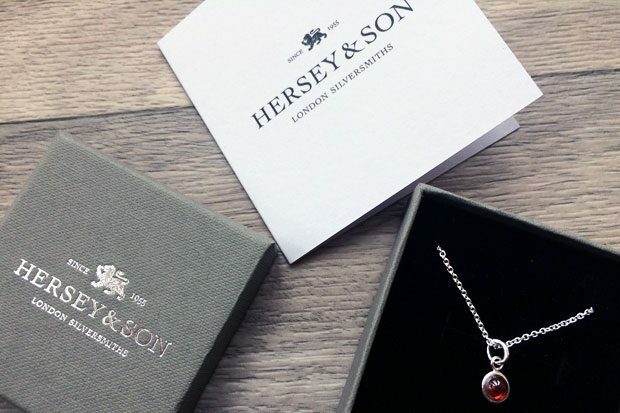 A piece of tasteful jewellery is always appreciated and the Garnet Birthstone Silver Necklaces from Hersey & Son (£35) would suit all tastes. Choose the birth stone of your loved one to create a gift that’s extra special to them. Birthstones are thought to offer protection to the wearer and are believed to promote happiness and vitality, making them and excellent gift. Here you can see the January stone, which happens to be a beautiful red colour. Everyone should have a Swiss army knife — they’re a very handy tool for lots of things, especially if you’re outdoorsy! This cute little Victorinox Classic SD Alps Love Swiss Army Knife from Swiss Store (£22.99) is a special, limited edition one with an “Alps Love” design. 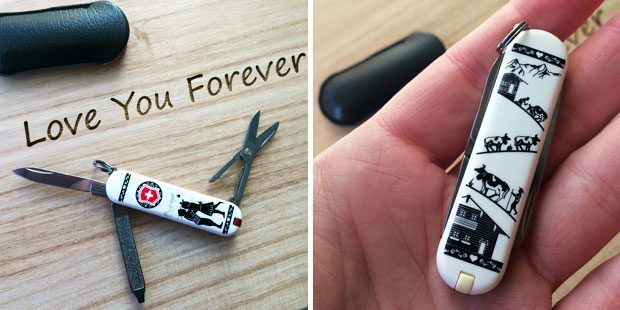 It’s so cute and comes with seven handy tools — blade, nail file, screwdriver, scissors, key ring, tweezers and toothpick. If you’re loved one is a modern bearded man, it’s quite likely that he’s quite proud of his beard and liked to keep it looking nice and neat. 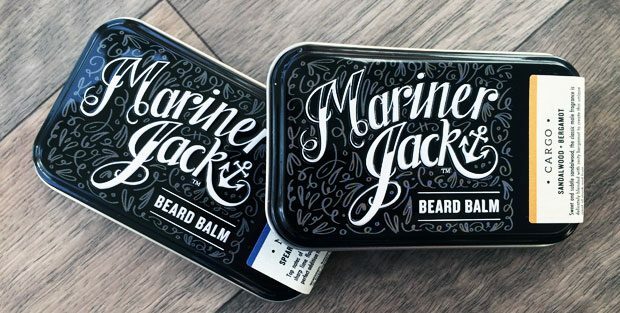 Treat him to something to help him with this, like a Mariner Jack Beard Balm (£12.45). These keep beards nourished, moisturised and conditioned and also provide a bit of volume and hold. They also smell amazing and give your beard a fresh and interesting fragrance. I especially like the Spearmint, Sweet Orange & Lime scent! A nice shoulder massage from your partner is always nice but not always possible. 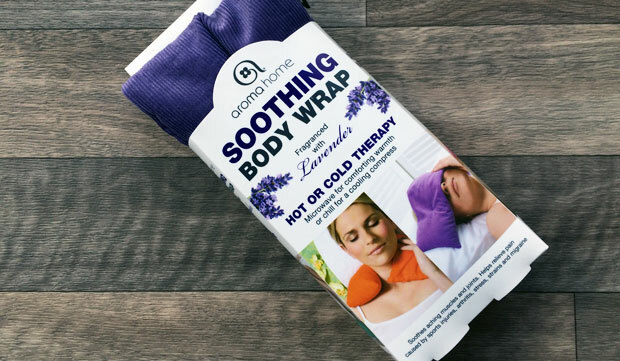 Give the gift of relaxed shoulders with an Aroma Home Microwaveable Hot Body Wrap from Prezzybox (£9.99). This is a blissful microwavable body wrap full of beautifully scented lavender to help lift spirits and ease away aches and pains. It’s made with the best essential oils and naturally sourced ingredients and the bag itself is made from 100% pure cotton. You simply warm it up in the microwave or chill in it in the freezer. The thought and care that goes into selecting gifts make all the difference and ASDA photo have lots of great gift ideas for truly personal Valentine’s Day gifts that make wonderful alternatives to traditional flowers and chocolates. A canvas print of you and your partner together or a photo book with your favourite memories would make great gifts but I also love ASDA photo’s Faux Leather Circular Keyring (£7.00) and Sequin Reveal Cushions (from £16.00). Add your own special photos for a special and very personal gift that your Valentine will love! 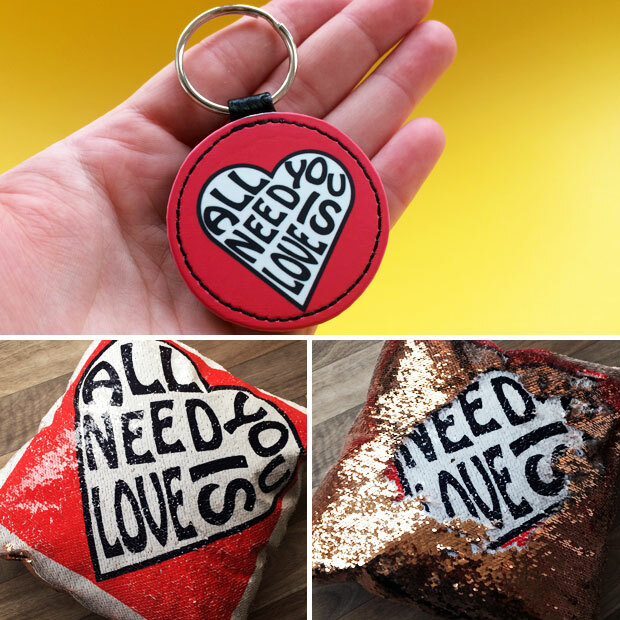 I’ve used my own All You Need Is Love design for these two gifts that I created. This gift is a bit of fun — it’s a Diamond Gift Box from Menkind (£24.99) filled with colourful glass gemstone made to look like giant coloured diamonds. 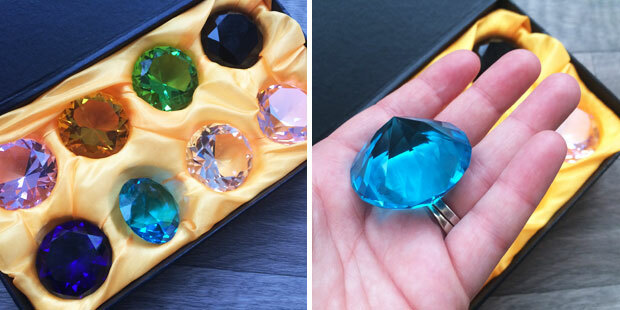 The luxury box includes eight diamonds in different colours and they all measure approximately 4cm in diameter. They’re fun and look great and make a great gift for Valentine’s Day! They’re much cheaper than actual diamonds and more fun too. 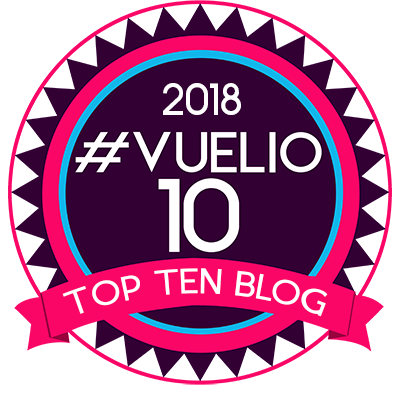 Everyone I’ve shown these have absolutely loved them! They’re gorgeous and catch the light beautifully and would look great as decorations on a small shelf or in a decorative bowl. 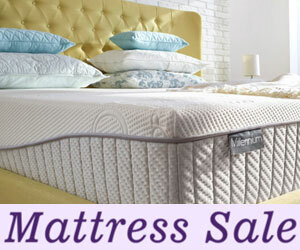 Here’s another practical gift with a romantic twist. 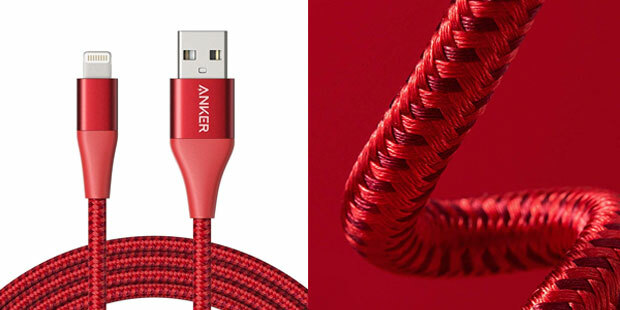 An long, durable and red iPhone cable that will help your loved one keep their phone charged and remind them of you when they use it. The red colour is gorgeous and having a longer and sturdier cable than the ones that you get with your phone is such a small thing but it really makes a difference in day to day life. This Anker PowerLine+ II Lightning Cable (6ft / 1.8m) is available from Amazon.co.uk (£13.99). Last but definitely not least is this Freixenet Sparkling Rosé & Chocolate Personalised Gift Set from Farrar & Tanner (£45.00) who specialise in personalised premium gifts and have a range of gift sets which would be perfect for Valentine’s Day. 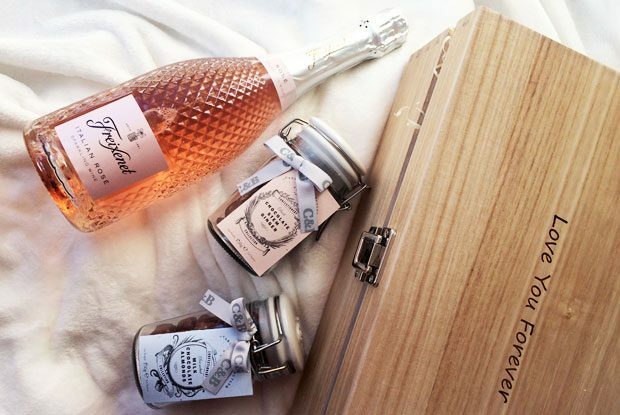 This gift is a bottle of delicious sparkling Italian Rosé (a delicate blend of Glera and Pinot Noir grapes which creates a beautiful colour and fruity taste) and delicious chocolates crafted by Cartwright and Butler, presented in a light wood gift box on which you can engrave a personal message to make the gift even more special. The chocolates included are Dark Chocolate Stem Ginger and Sea Salted Milk Chocolate Almonds which are both very tasty. They come in an adorable glass jar each that you can reuse for other purposes when you’ve eaten the chocolate. What I really like about this gift is that it provides you with something to share and enjoy with your partner on Valentine’s Day and a beautiful wooden box to keep and use for storing keepsakes. 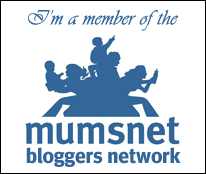 This gift guide contains PR samples that I’ve chosen to include. As always, all words, thoughts and opinions are my own.